Are you looking for a more efficient and effective way to manage your firm’s marketing and technology needs? We can help. Our marketing systems are designed with the Realtor in mind. You can purchase what you need when you need it. Today, you’re not just selling real estate. You’re selling yourself. Moreover, today’s real estate consumer has never been more sophisticated. They understand branding. They use social media like Facebook. And, most importantly, they know that they have choices. To ensure you’re marketing is competitive, you must make sure that your marketing is branded, integrated and efficient. We can help! When one of Columbia’s premier agents wanted to develop a superior internet marketing plan, he understood that the place to start was his brand! He developed a unique corporate image package that set his marketing apart and branded him uniquely in the marketplace. 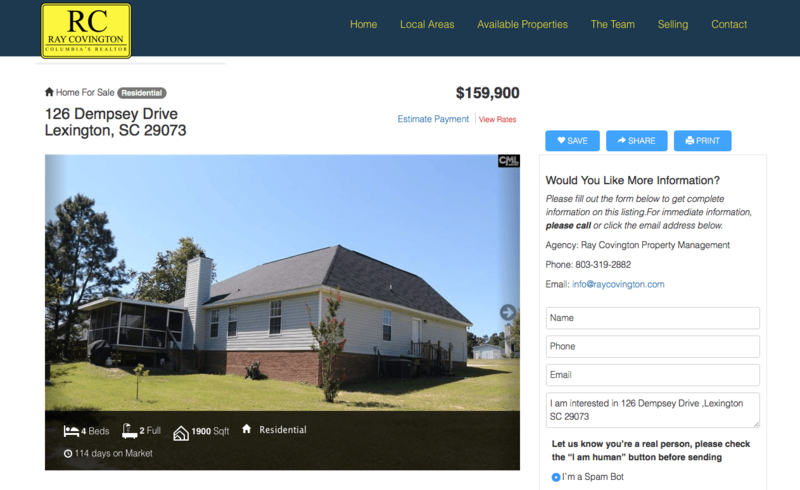 The image of RC, Ray Covington, Columbia’s Realtor was then translated into all his digital properties including websites, Facebook, and other social media. 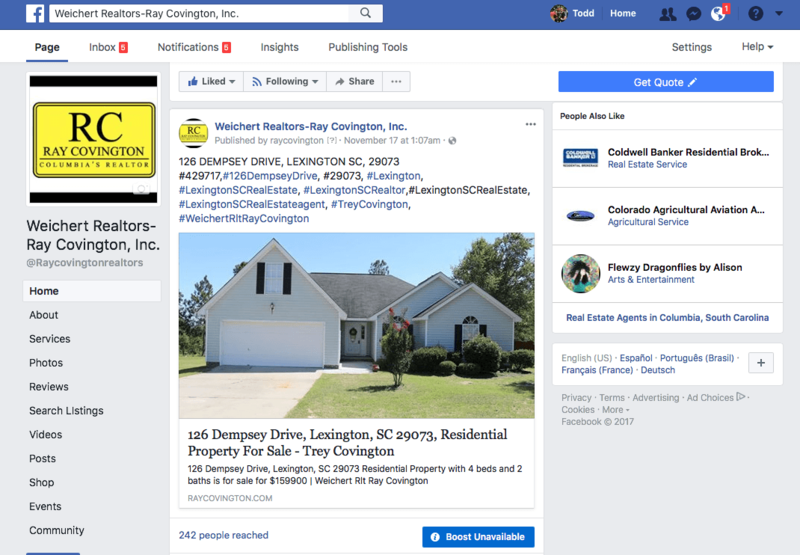 Next, realizing that social media is so much a part of today’s property shoppers venue, we ensured that all new listings were being automatically exported to Ray’s Facebook and other social media channels. Our programming “completes the circle” of bringing the social media user back to your website to convey your marketing message! Your website should be the hub of your real estate marketing and internet marketing plan. Our program can provide an award-winning site, integration with social media (Facebook, Twitter, etc. ), logo and branding package, and local advertising packages. If you’re looking for great Real Estate Agent Marketing, we can help. We use the latest in technology to provide you with the best online marketing presence at the lowest price. Our unique partnership with a cutting-edge website designer, Real Internet Sales, and IDX/RETS Software, Brokerlead, allows us to bring the latest and best technology to you at a fraction of the cost of most websites. Furthermore, we understand the unique needs of Realtors and other real estate professionals. We can maximize your budget by allowing you to buy components only as you need or want them. For instance, you can purchase the website alone and add neighborhoods later as your marketing budget allows. Or, if you’re an agency, you can pay for the basic agency website and let your agents purchase their agent page. There are as many configurations as you can imagine and you can keep adding until you have your optimal product. Better yet, our service packages allow you to have one consultant that is responsible and accountable to you for all your marketing and technology needs. Think of us as your own IT Department and Marketing Department for your real estate business! In today’s competitive market, you have to ensure that your marketing spending is maximized. We can help you do that. 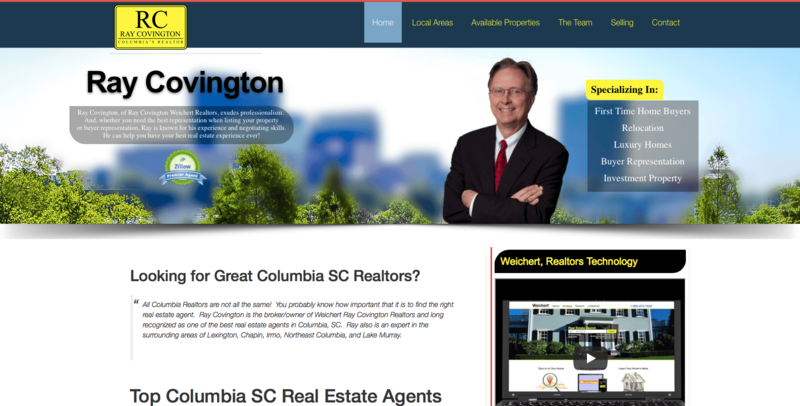 We can provide you with a great IDX/RETS based website with all local listings. With our unique partnerships, we can provide you with excellent SEO service or superlative local online newspaper advertising. We can provide these services directly to you at a fraction of the cost. And, we can make sure that everything in works in lockstep together ensuring the maximum value for your real estate firm. Take a look at our services and prices! You’re going to be glad you did.